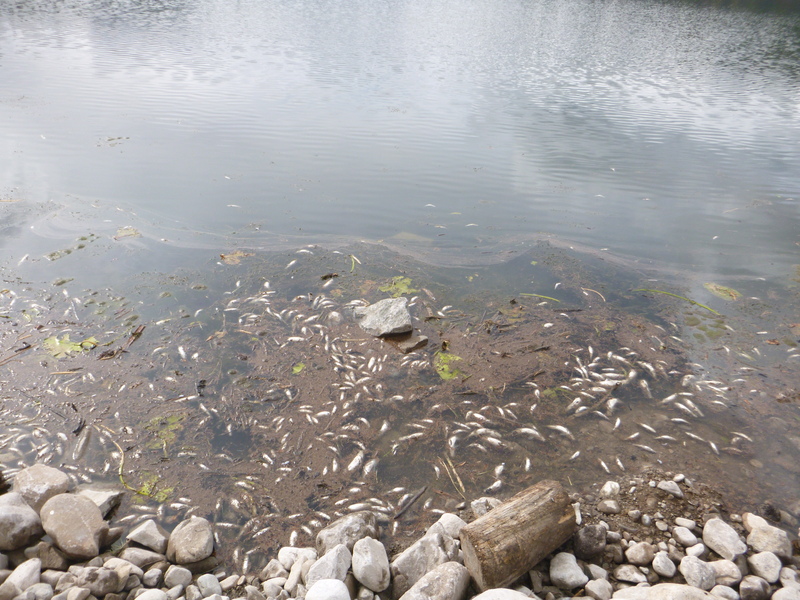 Today for the first time I witnessed the result of the lake poisoning we have been doing this summer. 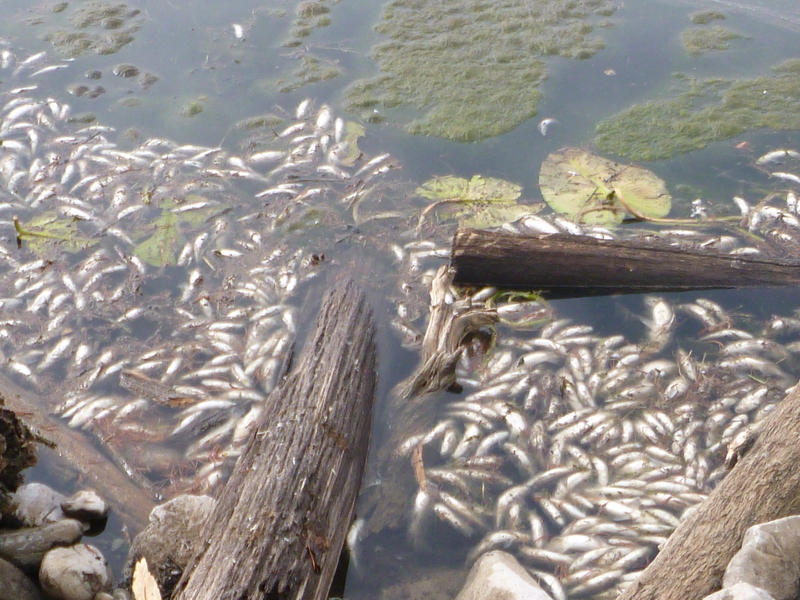 Along the edge of the lake dead fish floated to the surface and many more were decomposing at the bottom of the lake. It is estimated that around 30,000 fish were killed in this project, but that’s okay because these fish species (suckers) have no use to humans. Native fish will be reintroduced into the lake to spawn and then be distributed to nearby streams. Suckers are considered irrelevant because they are not eaten, so not fished and they cannot coexist with native fish. In order to create a suitable spawning habitat for the native fish, stream reconstruction has taken place. This cost around $40,000 to build. 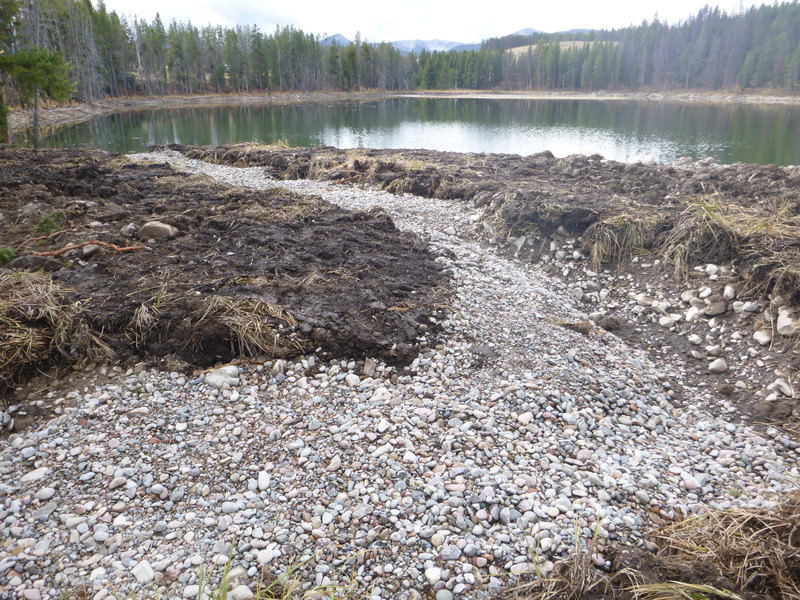 It involved adding gravel and deep pools to streams leading into the lake. As well as barriers so non native fish will not enter the newly populated lake. So the native fish will not have any competition from other species enabling them to thrive. It will be fascinating to see the end result when the native fish species are introduced. For now the lake has a putrid, pungent smell of rotting fish, the surrounding vegetation looks worse for wear and the streams are not yet flowing. It was a shock to see the system in the state it was in. I know in the future if all goes to plan, this area will once again flourish and have outstanding natural beauty. For now it is hard to see past the mess we have made. It is said, before a wound heals it has to get worse before it can get better. Is this the case for nature? Surrounding this once beautiful lake are campsites. Consequently, it is important for people to be able to fish in this lake. So, as well as native fish being reintroduced, sterile tagged fish will be put into the lake. This will mean people can fish, keep any tagged fish they catch and return the native fish to the lake. The fishing industry is so much more complicated than I ever imagined. It is important to keep all parties involved content while protecting the environment and sustaining the economy. Is this possible? I guess only time will tell.